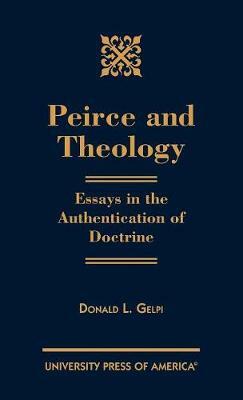 The author of this study invokes Peirce's logic in order to clarify the operational procedures of dialectic, foundational, and doctrinal theology. He argues that Peirce's theory of the normative sciences casts light on three forms of conversion: affective, intellectual, and moral conversion. From a normative account of the dynamics of five forms of conversion, he derives specific criteria for authenticating and calling into question both doctrinal statements about the content of religious faith and different theories of theological method. The third and final chapter tests the adequacy of the suggested criteria by applying them to the symbolic Christology of Roger Haight.